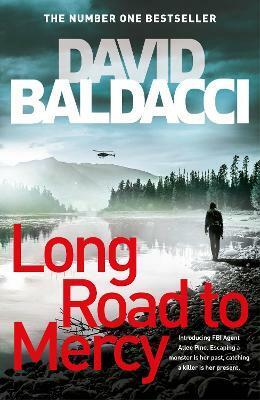 An exciting first novel in a new character series from David Baldacci featuring a female protagonist, Atlee Pine, FBI. Her name is Atlee Pine, the latest creation from bestselling author David Baldacci. She has unstoppable tenacity, always a fighter who is unwilling to cede any ground. She has endured real nightmares and she has the emotional and physical scars to show for it. And she got that long before she became an adult.She is a FBI Special Agent assigned to the wilds of the western US. She has to cover, often solo, vast tracts of area: Wyoming, Montana, Idaho, Colorado, Arizona. Small towns, impossibly long distances in-between, isolation like most on the East Coast have never experienced, and an environment where anything can and does happen.Working with the locals who respect, and also sometimes fear her, and have never really been allowed to know her, Atlee Pine turns her vast investigative skills and unmatched drive to find out the truth. Along the way she will revisit painful memories of her own, come to grips with what she is and what she might one day aspire to be. But in the end, she will have to confront not only a new monster, but also the old one of her nightmares. David Baldacci is one of the world's bestselling and favourite thriller writers. With over 130 million copies in print, his books are published in over 80 territories and 45 languages, and have been adapted for both feature-film and television. He has established links to government sources, giving his books added authenticity. David is also the co-founder, along with his wife, of the Wish You Well Foundation (R), a non-profit organization dedicated to supporting literacy efforts across the US. Trust him to take you to the action.